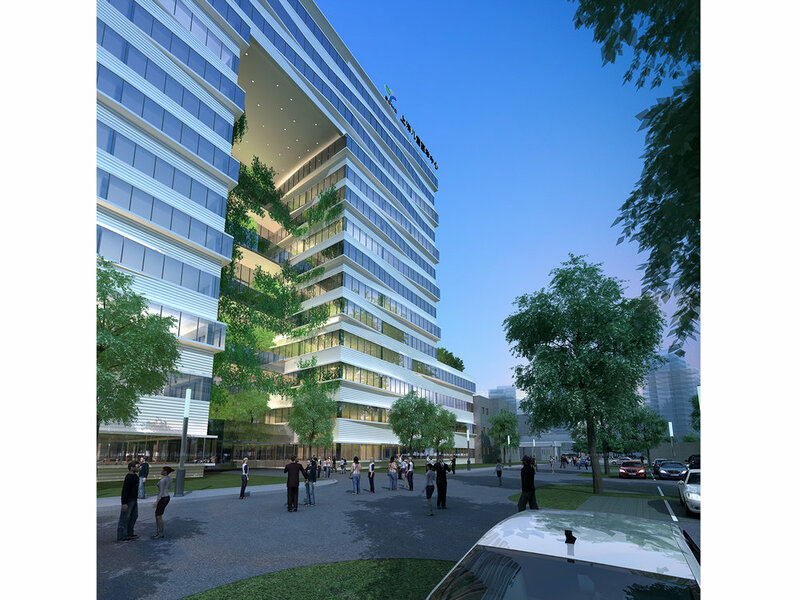 In the hospital’s expansion project, hanging gardens through floors become green heart of the whole building. 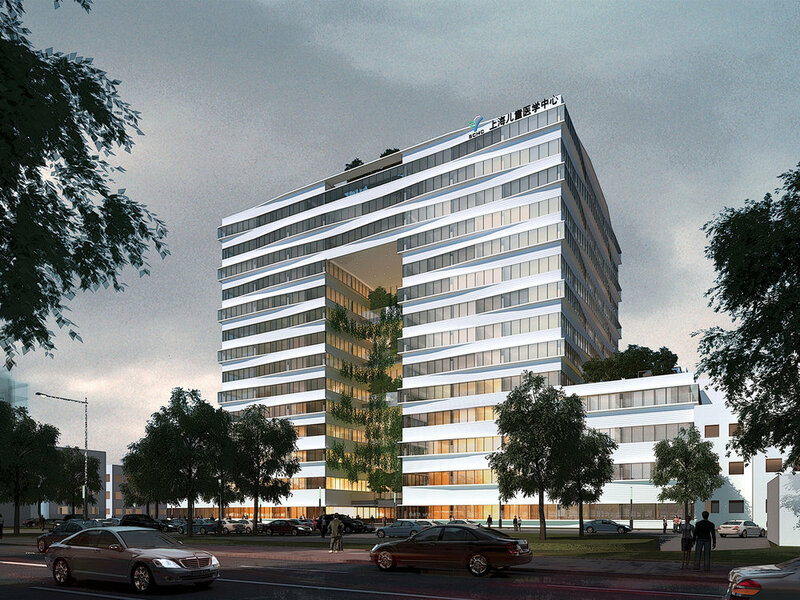 With the penetration of open three-dimensional gardenized space to all floors, we build a considerate and friendly cure environment, and really put children at the center of design and use. Every one of us should remember that anxiety and fear when we just entered the hospital in our childhood. Strange, loud, unfriendly environment tend to make the hospital lose the comfortable, pleasant, soothing feeling. 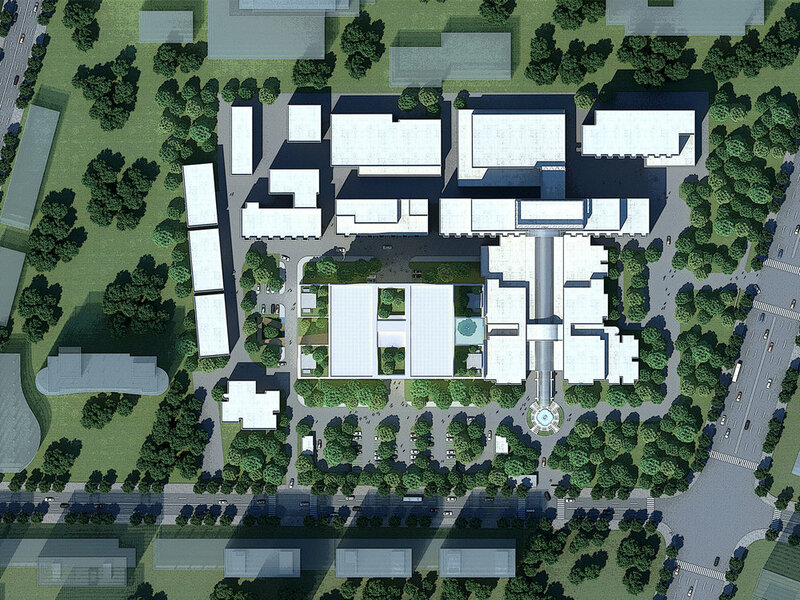 Our designs focus on the children who are the users, get back the spirit that the children's hospital is supposed to have by the design and practice of gardenized space. 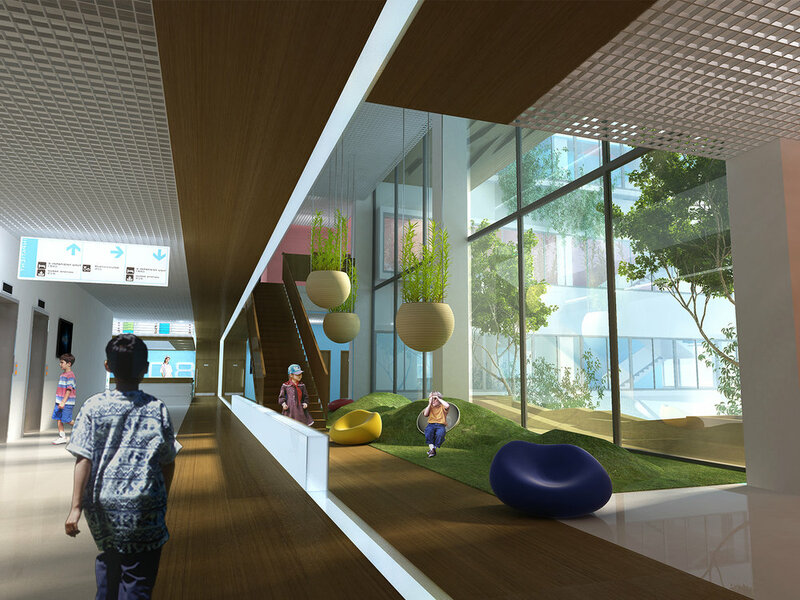 The central part of the hospital set up open green belts, on the whole, they form the three dimensional gardenized space, sunshine and fresh air penetrate in to building through the hanging gardens, which not only improve the indoor lighting, save the energy, but also provide a childishness playground close to nature for the kids. And the interior design with bright color and materials also ease children's anxiety and strangeness. The window scenery and furniture size take the children as the starting point. 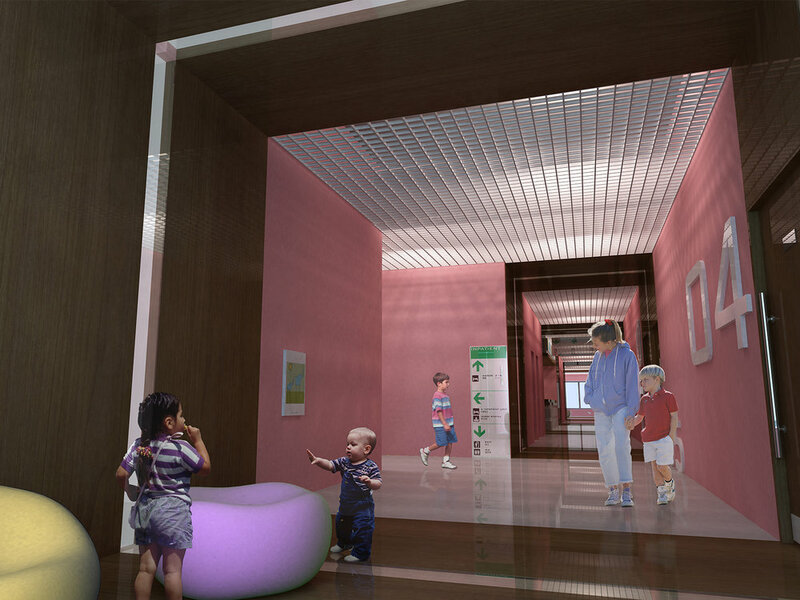 The nursing station and waiting area are set around central gardenized space, which is convenient for nurses and parents to monitor and care children. In addition, the irregular architectural shape also has functional purpose: undulating windowsills create irregular spaces that have a variety of functions for building inside. These spaces can be distributed flexibly; they can be used as window seats, planted with green plants or used as playground. 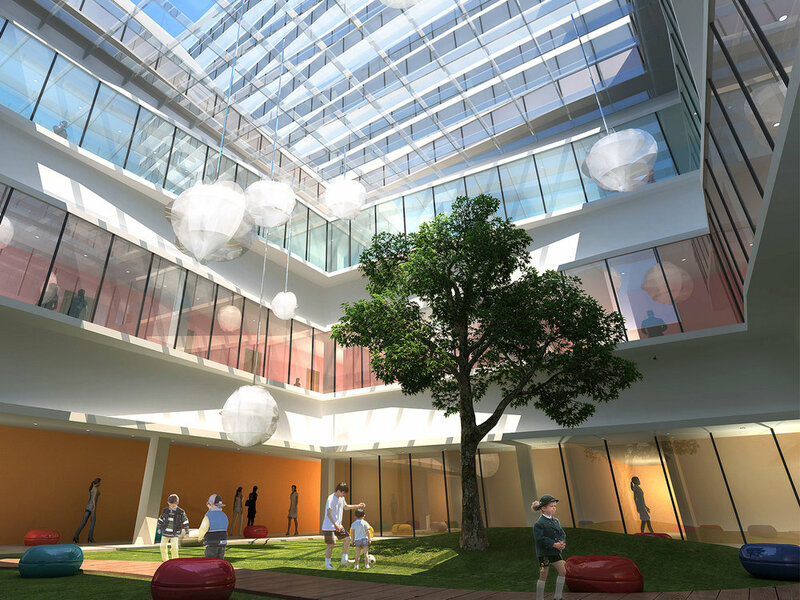 They make the building full of surprise, also reflects our design intention: to create a lively, free garden, and open our mind to accept the visiting children.